We used to live in a compound. It has four houses, the main house was my lola’s (grandmother’s), one was our house and the two others were my father’s siblings’. We lived there most of my life until we moved house after college. There were so many memories in that compound but summers (as a child) were especially memorable as the days were spent playing with cousins in that compound – patintero, touch-taya, Chinese garter… there even was a baseball phase. I remember catching tadpoles at the canal outside our house. Yeah those were carefree times. I can’t imagine any parent allowing their kids to play in a canal today. 😯 We’d climb and pick santol and indian mangoes from the tree in my lola’s garden, devouring it with salt or toyo (soysauce). I’d always look forward to my uncle’s treats to Sunshine Market, our neighborhood grocery. I’d go straight to the snack section and pick-up Carol-Ann’s potato chips. Oh how I love that greasy but crispy, thin chips seasoned only with salt. To this day, nothing beats Carol-Ann’s and you don’t find them anymore. I love Choco vim — I’d shake it till the chocolate at the bottom dissolves, such a thrill . And there was Magnolia’s Twin Popsies, I like both the chocolate and the orange variant. A perfect heat quencher. Childhood memories… always make me smile. The Kulinarya Cooking Club is a club that showcases Filipino dishes by way of a monthly challenge among the members. And this is my first attempt on a fairly easy but so much fun challenge this month, thanks to Arnold of Inuyaki and Jun of Jun-blog. The theme is “ice candy” or popsicle treats, which aptly signals the start of summer. In spite of the heat, summer is always a favorite time of the year. It means I get to soak up the sun in some remote island with some frozen delights on hand. I usually go for fresh shakes nowadays but ice candy brought back so many memories that I feel like having twin popsies right now. My take on the theme is an adult version of a childhood favorite. I made 2 versions in honor of the 2 Magnolia Twin Popsies variants. 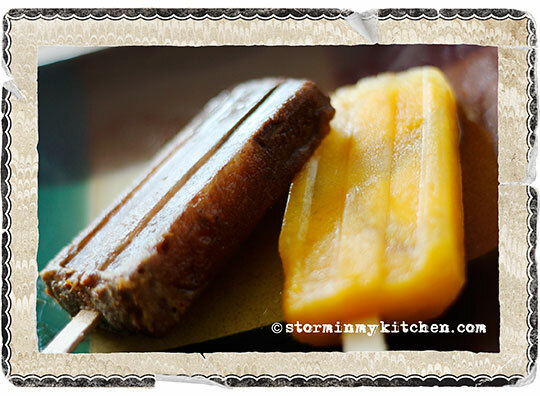 One is a delightful orange and mango flavor with a hint of ginger while the other is a chocolate popsicle made of native cacao balls and since I love a hint of orange in my chocolate, I added some orange zest to give it a twist. 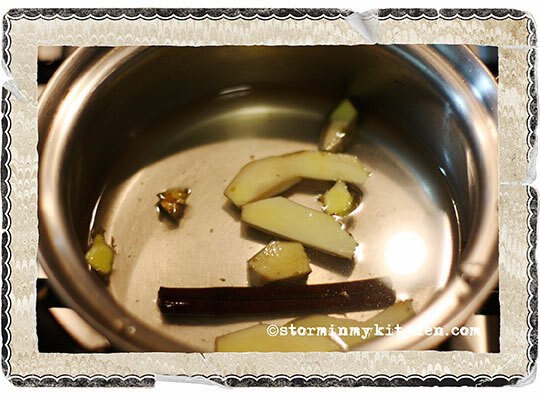 To make the ginger syrup: In a pot, dissolve sugar with ½ cup water. Add ginger slices and cinnamon stick. Bring to a boil. Meanwhile make into juice all the oranges and 1 mango*. Combine orange/mango juice and the ginger syrup in a pitcher (for ease in pouring). Slice the rest of the mangoes into bite-sized pieces distribute in popsicle molds**. Pour the juice mixture. Place popsicle sticks over the mold and freeze. * You may use ready to drink juices too if desired. About 2 cups of orange juice to 1 cup of mango. 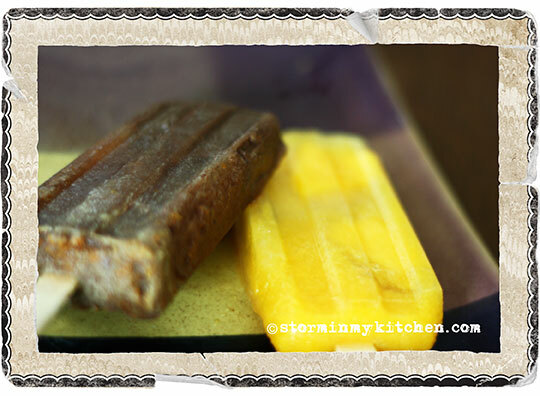 ** The frozen mango makes a lot of different so fill it to the bream and then pour the juice. Add a dash of cinnamon or place the stick of cinnamon while cooking the chocolate. When chocolate is ready, add the zest before turning off heat. Strain into a pitcher and let cool. 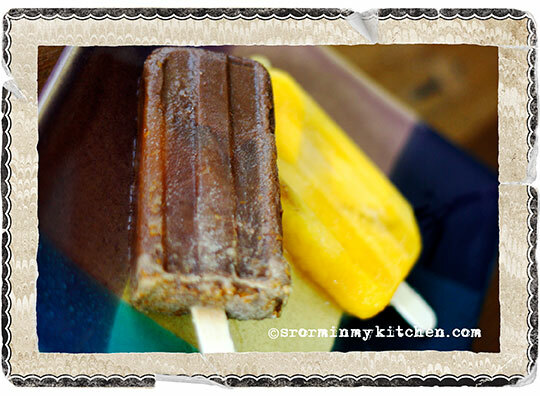 Pour into popsicle molds, place popsicle sticks and freeze. * Native chocolates are made differently; it is best that you know what kind you’re using or follow instructions if it they have it. ** The thicker the chocolate, the richer the popsicle. If you make it thick enough, it is like biting into a frozen chocolate bar. Both were delightfully refreshing. At the last-minute I decided to add the mango on the orange version and did a happy dance when I bit into the finish product. It really made a lot of difference biting into frozen mangoes. The ginger is a great twist to a familiar flavor. Makes sure though not to overdo the ginger or it will overpower the light fruity flavor. The chocolate version, on the hand is less sweet and much richer than that of Magnolia’s. 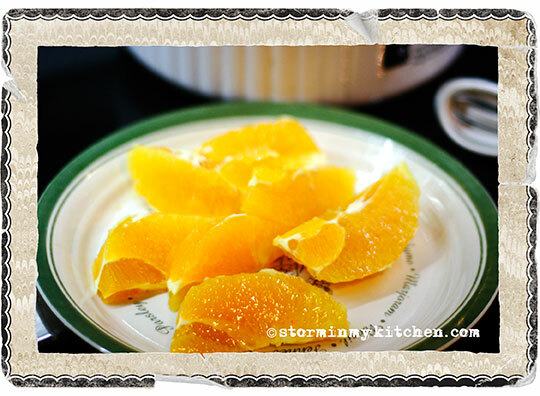 The orange zest added a fruity dimension to dark chocolate. I intentionally didn’t add milk or cream, as I wanted it dark. If milk chocolate is the preference, go ahead and add a bit of cream. If you don’t have a popsicle mold, you may use disposable cups. To hold the sticks in place, tape over a plastic wrap and bore a hole in the middle where the stick will go. This will make the stick stay in the middle. Indeed, childhood memories make us smile. With the twin popsies you have there (I’m pretty sure they’re both fantastic), I’ll go with the orange-flavored choco one. My kind of frozen treat! The flavor combinations you used are fantastic! Wow, you homage to a classic summer treat looks awesome! Twin Popsies were such a treat, and I can actually still remember the remarkable chocolate taste, even if I haven’t had it in a year or two! 😀 This is a great interpretation. I just love your take on this month’s KCC challenge! Very nice combination of flavors here, girl!!! These flavors are refreshing! 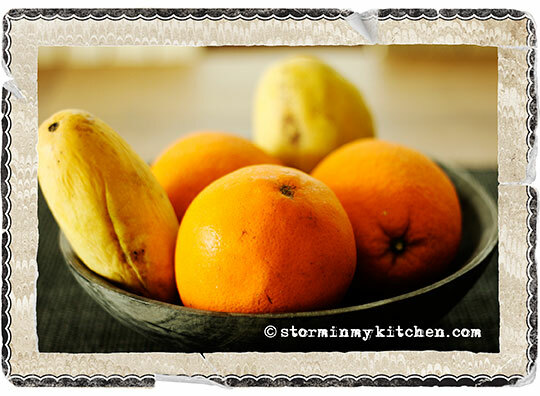 But I think I would enjoy the Mango-Orange more….. Indeed it was fun in the “olden” days. children were freer to do as they pleased. I miss Choco Vim, Carol Ann’s (the cheese and seafood flavors were my favorite) and twin popsies (there was a yellow one but I can’t remember what flavor it was). I love your popsicles, so native yet so posh looking. I would zoom in on the mango-orange-ginger ’cause I just love fruity frozen treats. Thank you adorabox, my family used to make Carol-Ann’s potato chips. Yes there was the Plain-salted, Barbecue, cheese, Toasted Onion and the Seafood flavor! Great memory! Your lovely post brought back so many good memories of home. My snack of choice was Chippy growing up and of course, how can I forget Magnolia popsicles! Thank you for sharing! RonRon and Wonderboy were my snacks of choice back then 😉 I love the Mango Orange Ginger popsies. Thanks for sharing. 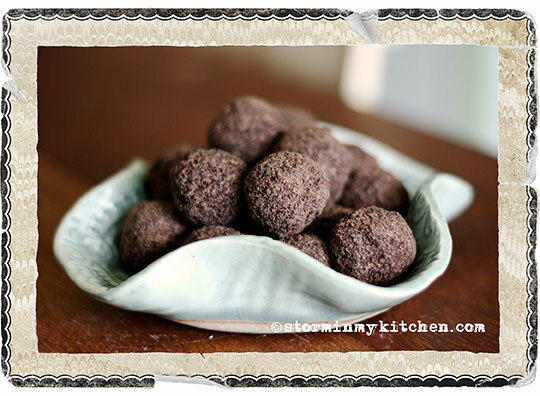 You are currently reading An Adult Take on a Childhood Favorite at Storm In My Kitchen.